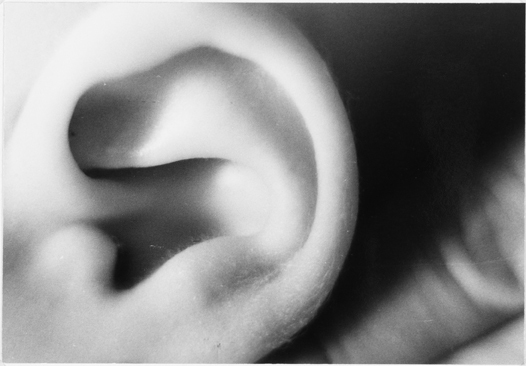 Nearly forty years after Mary Kelly’s* germinal 1976 exhibition of Post-Partum Document, the work of women artists who explicitly engage with images, processes, and experiences of maternity remains marginalized and relatively misrecognized in the art world. Despite a notable resurgence of attention to the maternal in 21st Century art theory and practice, such work is more often than not, read inside a discourse of indulgence, sentimentality, and identity rather than as representative of larger concerns with ecological systems, ethics, care, or labor. 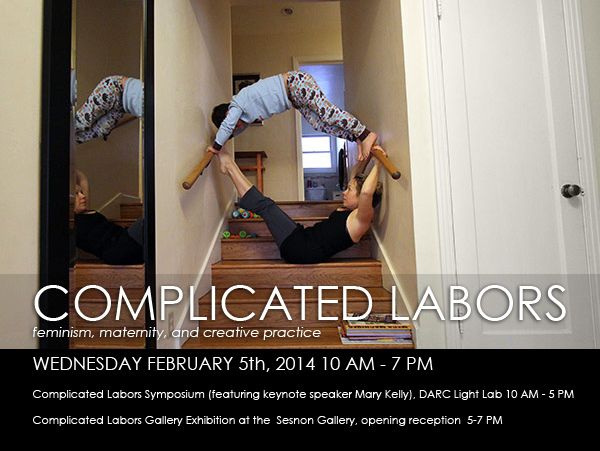 Complicated Labors investigates this problem, bringing together historical and contemporary work addressing maternal labor to ask questions about the status of feminism -- and feminist art -- today. 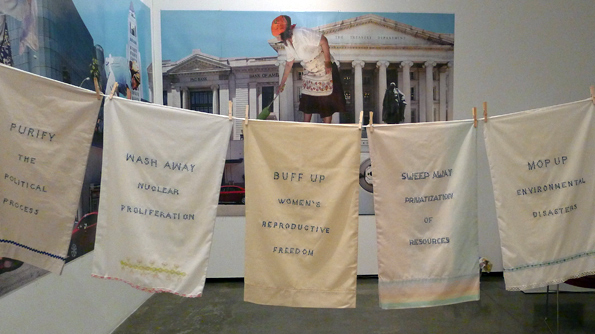 The exhibition will be accompanied by a one-day symposium on February 5, 2014 at UCSC, with a keynote address by *foundational feminist artist Mary Kelly. The symposium will create a space for critical interdisciplinary dialogue around issues of maternity, feminism, art-making, and writing, explicitly putting the 1970s in conversation with the current moment and putting writers in conversation with visual artists. Complicated Labors builds on recent group exhibitions on the topic, including Myrel Chernick’s and Jennie Klein’s 2004 and 2006 Maternal Metaphors and Maternal Metaphors II and Natalie Loveless’s 2010 New Maternalisms. This exhibition addresses recent books such as Andrea Liss’s 2009 Feminist Art and the Maternal, new journals such as Studies in the Maternal, and new collectives such as Broodwork. This exhibition and symposium are sponsored by Porter College, Oakes College, Merrill College, Stevenson College, UCSC Institute for Humanities Research Complicated Labor research cluster, University of California Institute for Research in the Arts (UCIRA), UCSC Arts Dean’s Excellence Fund, FemCRES at UCSC, and the History of Art and Visual Culture, Art, Film and Digital Media, and Feminist Studies Departments. Lenka Clayton is a British conceptual artist whose work exaggerates and reorganizes the accepted rules of everyday life, extending the familiar into the realms of the poetic and absurd. Mary Kelly is an American conceptual artist, feminist, writer, and professor of art and critical theory in the School of Art and Architecture at UCLA. Natalie Loveless is a Canadian artist, curator, writer and professor of contemporary art and theory at the University of Alberta whose work explores feminist embodiment, material entanglement in the everyday, and the frameworks of artistic research. 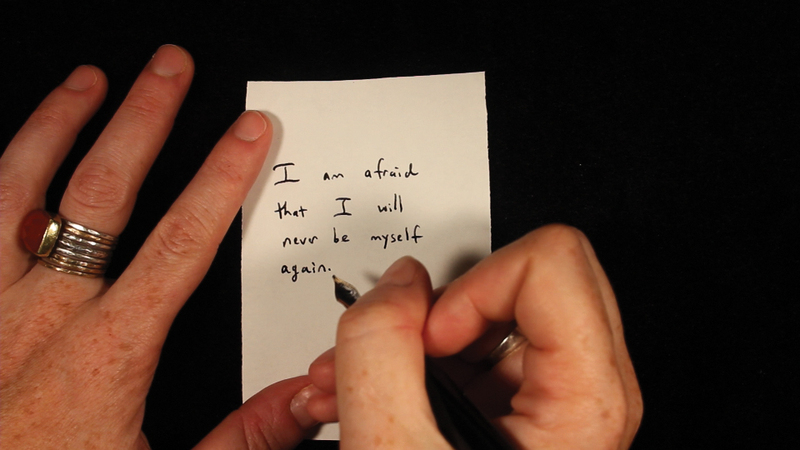 Irene Lusztig is an American filmmaker, media archeologist, and new media artist whose film and video work mines old images and technologies for new meanings to reframe, recuperate, or reanimate forgotten and neglected histories. 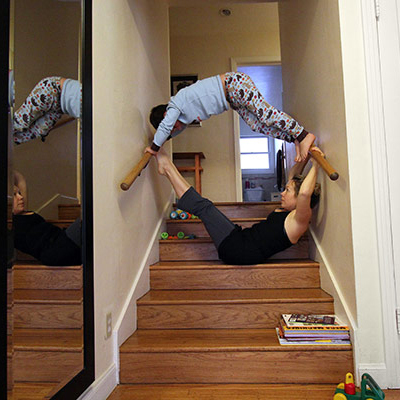 Jill Miller is an American conceptual artist who works collaboratively with communities, with a focus on motherhood, feminism and performance art. Faculty in New Genres and Design and Technology at the San Francisco Art Institute. Mother Art Collective is a germinal U.S.-based art collective formed in 1973. Participating from this collective are Deborah Krall, Suzanne Siegel and Laura Silagi. Alejandra Herrera Silva is a Chilean visual and performance artist and curator living and working in LA. Silva has been an active organizer and artist in the field of performance for more than a decade and has exhibited her work extensively all over the world, including Latitude 32°N/55°S, the 4th annual month of performance art-Berlin, Belgium’s “Trouble festival”, Belgium, and the “Anti festival” in Finland. Recent body and action-based pieces have investigated the body as object at the intersection of maternal labor and affect. Mierle Laderman Ukeles is a U.S. based maintenance artist and official, unsalaried Artist In Residence at the New York City Department of Sanitation. Amra Brooks, Mary Kelly, Natalie Loveless, Irene Lusztig, Jill Miller, Kate Moses, Micah Perks, Carmen Gimenez Smith, Michelle Tea and The Mother Art Collective (members Deborah Krall, Suzanne Siegel, Laura Silagi). Moderators: Jennifer González and Megan Moodie.